The top San Diego attractions vary to fit any traveler’s needs, from relaxing on the beach to adventures at the Zoo and exploring the town. So, don’t’ miss out on all that the area has to offer during summer 2013! 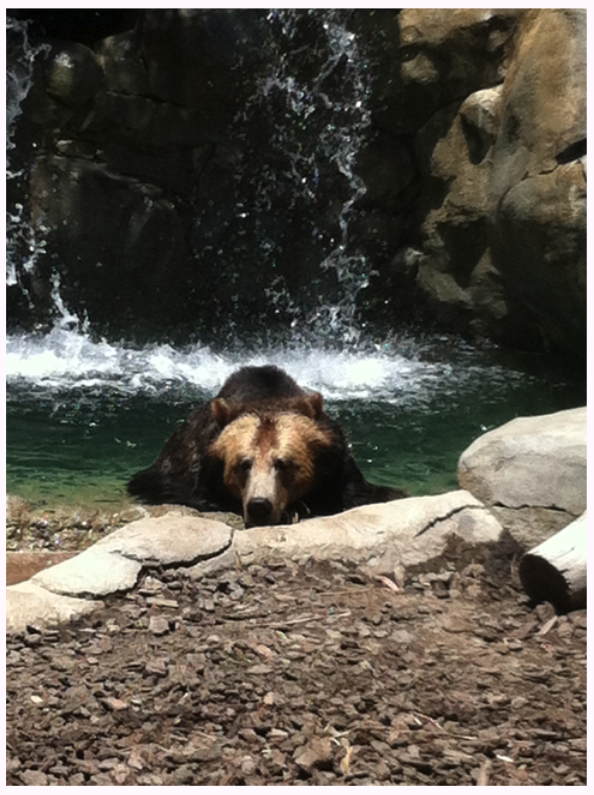 San Diego Zoo: This world-famous zoo is home to thousands of animals roaming throughout its 107 acres. Explore tons of exhibits from reptiles to elephants and insects to birds. Don’t miss out on their Safari Park located in San Diego’s north county region, that lets adventurous souls get out there in the natural habitats of antelope, giraffes and others. Locals and visitors alike come to the Zoo and Safari Park during the summer months to enjoy the sunshine alongside the world’s most amazing animals. SeaWorld San Diego: Another top attraction in San Diego, SeaWorld is full of exciting sights and shows for the whole family to enjoy. Visit the sharks in an underwater tunnel, watch Shamu show off his tricks and learn all about marine life from turtles to belugas. For extra excitement, hop on one of the thrilling rides that will leave the heart racing or its passengers completely soaked. Beaches: This list can’t continue much longer without mentioning this natural attraction bringing so many vacationers to San Diego. Surrounded by 70 miles of beaches, an itinerary would be incomplete if it didn’t include a trip to the sandy shores of San Diego. Plan a day resting, an afternoon of surfing or an evening watching that beautiful west coast sunset on beaches all over the city. Balboa Park: Ranked as one of the top parks in the world, Balboa Park holds many attractions within its 1,200 acres. Visit 15 museums, various performing arts centers, dog parks, carousel rides and even the San Diego Zoo all on a backdrop of lush gardens. Nestled close to downtown, Balboa Park is the largest urban cultural park in the nation. Petco Park: Built as the home park for the San Diego Padres in 2004, Petco Park was designed to include amazing views of San Diego and the game for all attendees. Located in the Gaslamp District, the park gains a unique touch by incorporating buildings from the neighborhood into the park, such as the Western Metal Supply Building in left field. Grab a hotdog and a beer and spend the afternoon cheering on an MLB team while the season is in full swing. Bike and Kayak Tours: The perfect way to explore San Diego’s endless beaches and iconic sights is on a bike or kayak. Get out in the sunshine to see the natural beauty along trails or in various sea caves. Tours are offered in Coronado, La Jolla and almost everywhere else! For a little less structure, rentals are also available to explore scenery freely. San Diego remains one of the top vacation destinations and offers endless fun and exciting attractions to explore this summer. One way to fit all of these attractions into an itinerary is to purchase a Go San Diego Card. Save money on top attractions and get the full Southern California experience of beautiful San Diego! SanDiego.com is an authority on vacationing in San Diego. It makes it easy an efficient for users to book their ideal vacation in San Diego with helpful information and local knowledge about hotels, activities, attractions and events. If you are in the San Diego area and looking for fun, Coronado Island is just over the sprawling downtown bridge. A relaxed town which sports one of the greatest beaches in the world, Coronado Island is the sunny island paradise that you have only dreamed about until now. From fine dining, to world-renowned beaches and even many world class resorts, there is an endless amount of entertainment at your fingertips, available each and every day for you and your family to enjoy.There are several famous beaches located in Coronado Island. Silver Strand State Beach is located 4.5 miles south of Coronado and has many amenities, including fire rings, calm bay waters and spacious RV parking available for campers. Silver Strand State Beach is known as one of the greatest places for kite-boarding in all of California and features a direct underpass leading to an expansive picnic area.Coronado Beach is a 2-mile long expanse, which is actually separated into 4 total beaches. Visitors to the ‘South Beach’ section will be able to view the famous ‘Monte Carlo’ sunken gambling ship during lower tides. What makes this giant beach even more attractive is that part of the beach is sectioned off just for dogs. Called ‘Dog Beach’, this northern quadrant is completely dedicated to your canines, allowing them to run and play leash-free all day long. Coronado Island also features many great hotels and resorts to choose from. These hotels offer a variety of options for their guests, including all-inclusive packages with all the bells and whistles, or simple hotel rooms for the tourist on a budget. 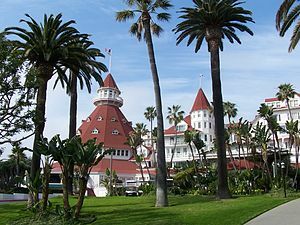 These great resorts are lined up all across the famous Coronado boardwalk and there are usually plenty of vacancies available. There are also many fine dining experiences available to those tourists who want to grab a bite to eat in between visits to the many great beaches and tourist attractions that Coronado Island offers. Whether you are craving a delicious deli sandwich from one of Coronado’s famous shops, or you want to sample one of the many ethnic cuisines available, there is a wide variety of options available to you. Coronado Island is conveniently located less than 20 miles away from the Mexican border, meaning that if authentic Mexican fare is your preference, you couldn’t have picked a better place to visit. Be sure to plan your trip in advance in order to enjoy the many different attractions of beautiful, sunny Coronado Island. Your family’s trip is sure to be so memorable; you may never want to leave this island paradise. You and your family will want to make Coronado Island your regular vacation spot for years to come. There are 2 great French restaurants in San Diego that both locals and tourists can delight in for both lunch and dinner. French food is associated with fine dining and exquisite tastes and textures and Tapenade and Savory contain some of the best table experiences diners can have while enjoying great food with great atmosphere. French food is a taste-lovers favorite experience, one that foodies delight in because of the perfectly matched dishes with wine and great ambiance. 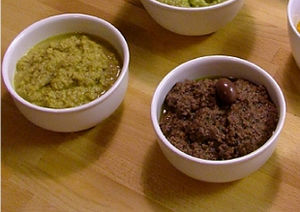 San Diego is lucky to have two great choices for French food in Tapenade and Savory and they are two restaurants that need to be added to the must-visit list. If you’re looking for fun in the sun for your next vacation, San Diego has it all. With some of the best waves on the West Coast, and nearly 75 miles of shoreline, you’re sure to find the perfect spot for your surfing adventure. With this much shoreline, you can find areas with gentle swells for those just starting out as well as more challenging raw ocean swells ending in big hollow peaks for the true surfing enthusiast. If you’re into kitesurfing,San Diego offers first-class kitesurfing schools for beginners and miles of beach rated for everyone from novice, to intermediate to advanced. The choices are unlimited. There are beaches and programs for every style and skill level. No visit to San Diego would be complete without kayaking at least once. There are endless ways to enjoy this sport in the area. One of the most popular is the kayak tour of the La Jolla Sea Caves. In the calm waters of the La Jolla Cove, it’s not unusual to spot harbor seals, sea lions, and of course, dolphins. For those who would like to explore the wonders of the surrounding area on their own, there are a number of places to rent either single or double Kayaks so you can design your own custom kayaking adventure. San Diego is a fisherman’s paradise. Rated #2 in Field and Stream’s Best Fishing Cities, there is something for every angler. For the freshwater enthusiast, San Diego’s lakes are home to bass, trout, bluegill, and catfish, to name a few. For those salt water aficionados, there are a host of choices. Dan Diego has several city piers with no license required, or you can try your luck in the surf. For those who enjoy deep sea fishing, San Diego area charters offer sportfishing tours from a half-day to over a week. So for the ultimate sun and fun vacation visit www.san-diego.us today. There is no time like now, to plan the vacation of a lifetime. Whether you are planning your summer 2011 trip to San Diego for a few days or a few weeks, check out this amazing website, www.san-diego.us, for some amazing travel advice to help you plan your trip of a life time that you will remember forever. This article will help outline the San Diego Hotels as well as San Diego Attractions that are worth looking into. Whether you are wanting to take in that San Diego sunshine, and get a tan to take back home with you for your friends to be jealous of, or hoping to catch some waves while visiting San Diego, the San Diego Beaches are just perfect to accomplish both of those tasks. For those of you wanting to see Sea Life up close, try taking in a show at Sea World. They have shows with Sea Lions as well as with Orca Whales that are just fascinating. This can be a great way to cool off in the hot summer sun. Sea World shows offer a seating section called the “Soak Zone” where if you are seated in this section you can pretty much guaranteed to be cooled off shortly after the show starts. 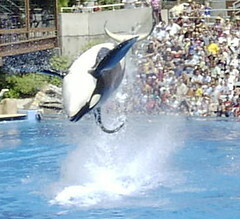 The show has stunts where Orca’s jump clear out of the water, right next to the edge of the tank to ensure that a majority of their audience gets a shower of water. Other’s in your group might prefer a trip to the famous LEGOLAND. When visiting LEGOLAND, depending on the age of the children, you will want to have at least a couple of hours blocked out for this experience. When you get there, be prepared to be blown away by the amount of Lego’s on display as well as for purchase. The imagination and creativity that goes into Lego building can be just amazing. LEGOLAND has displays available that have thousands of Lego’s that make up the design of the creation.